The Sunshine State ACS is proud to announce the 2018 Sunshine State ACS Florida State Championships scheduled for July 26th – July 29th at Ramada – Sarasota. Click here to sign-up for email updates! 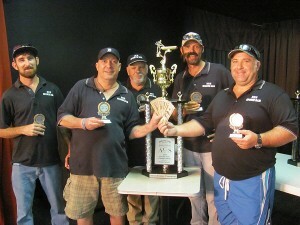 Sunshine State ACS is the Florida State Chapter of the American Cue Sports (ACS). 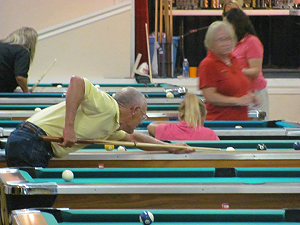 Our ACS sanction pool leagues, consisting of both men and women pool players, can be found throughout Florida. Playing in one of our leagues is fun and exciting for all levels of players and teams. 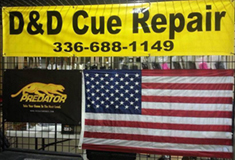 The 2015 Sunshine State ACS Florida State Championships are sanctioned by the American CueSports Alliance (ACS). 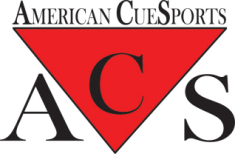 Formed in 2004, the ACS – American CueSports Alliance is a Colorado Incorporated Non Profit Amateur Athletic Association, dedicated to heightening the interest and awareness of cue sports by the supporting and sanctioning of organized competition throughout the United States and North America. The ACS sanctioned events in this year’s tournament is for players that have played in and have good standings with an ACS sanctioned league. Specifically, those ACS players who have put in their time playing both in the league and on their respective team. 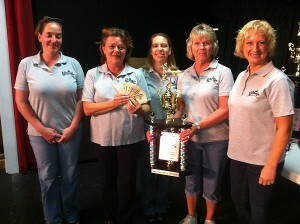 The state tournament staff will include the league operators from each ACS league represented. All Sunshine State ACS leagues are required to pay a $5 per player Sunshine State (ACS) Pocket Billiards Association Fee. Attending league operators unanimously decided that it was in the best interest of players to use a one-time “Green Fee”. League Operators please contact us at info@sunshinestateacs.com if you have any questions about the $5 per player Sunshine State (ACS) Pocket Billiards Association Fee. There is a one-time “Green Fee” set at $20 per player and covers table fees for all events each player may compete in. This means tables will be open and available for tournament players during the entire duration of the tournament, including practice times. Rules governing play are New World Standardized Rules” . All players are required to pay a one-time $20 greens fee. This one-time “Green Fee” is set at $20 per player and covers table fees for all events each player may compete in. This means tables will be open and available for tournament players during the entire duration of the tournament, including practice times. 9-Ball Play will begin on July 26th at 9am. Master and Advanced players must give a 1-game spot. Players competing in this tournament must be from and ACS sanctioned league*. more than one singles division. Players competing in this tournament must be from an ACS sanctioned league. The Sunshine State ACS Player Review Committee reserves the right to disqualify anyone formerly or currently considered to be a professional caliber player based on Known Ability. Scotch Doubles teams consist of one male and one female player. Both members of any Scotch Doubles team must come from within the same League Operator’s system. Format for each division is a 5 person team in a race to 8 wins. Teams may be made up of any combination of male and female players. Team rosters, including players and substitutes are set once the team begins its first match. No player may play in more than one team division. The winner of the coin toss has the choice of being home or visiting team. Teams will break according to the score sheet. A player may compete on only one (1) team and only in one (1) team division. Substitutions: Team Captain may substitute any player in lineup for any other player on the roster prior to the start of each round only. Opposing Team Captain must be notified of a change in the lineup. A regular or substitute player may not play the same opponent twice. Should this occur, it will be a forfeit of that particular game only by the team causing the double play to occur. Once a round has begun, no lineup changes may be made. Skill levels of teams to be derived from final league standings and League Operator input. The players on the final two winning teams from each bracket will automatically play in the next higher bracket the following year’s tournament. Tournament director reserves the right to move a team to a bracket based on skill of current players on the team. Play in an ACS sanctioned league and have good standings within that league. The players must have qualified on the same team in an ACS sanctioned league. Teams are allowed one substitute player from their league with a player having equal to or less than the team player average. Players must have played at least 8 weeks of regularly scheduled match play in their league. Non-ACS League players are not eligible to compete in ACS Sanctioned events. League stats confirming eligibility are to be included with each Entry Form. * Teams and single players must have played in an ACS sanctioned league to compete in these tournaments. 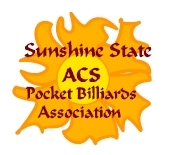 All Sunshine State ACS leagues are required to pay a $5 per player Sunshine State (ACS ) Pocket Billiards Association fee. All teams and players competing in ACS tournaments must submit league information to include stats.